Act now and choose everything for your house. A beautiful to be built farm style house located inside city limits of TR. Sitting on just under a half acre lot on State Park rd. 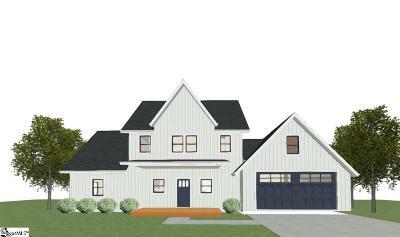 A 3/2.5 2600 sq ft house with bonus and a 2 car garage. Brick foundation, vinyl siding with Stone accents, 30 year GAF roof with available extender warranty. Covered front and back porch. Master on main level, his and her closets, separate tub and tiled shower. Large open kitchen and dining room with large island. Soft close doors and drawers on cabinets, granite counter tops. Second and third bedrooms on second floor. Ceramic in bathrooms, LVT in kitchen, dining, living room and laundry. Carpet in bedrooms. Tankless natural gas water heater, gas heat, gas stove, Act now to choose your colors.